Buy bird photos online. Pet and wild bird photos, bird species stock images, bird behaviour photos, bird calendar stock images, birds in flight images. Search by species. 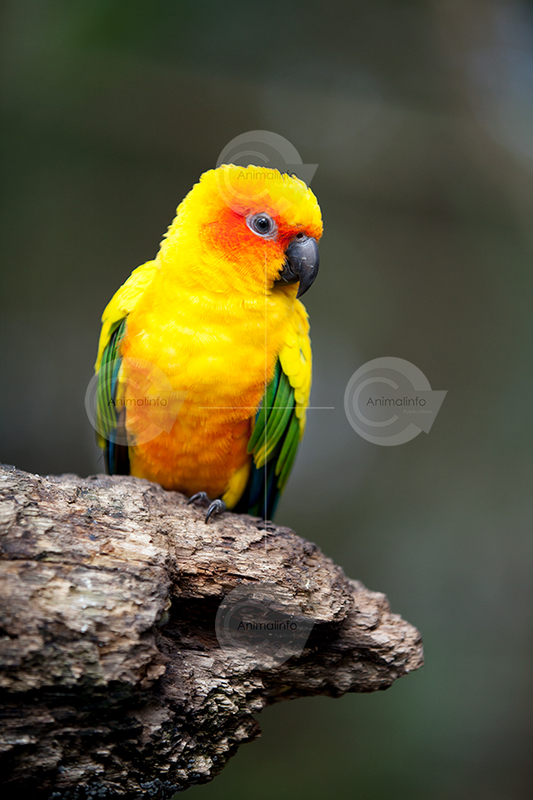 Sun Conure (Aratinga solstitialis) resting on one leg on the end of a thick log, front on to the camera with head turned to the side. Port Lincoln, 28 Parrot hybrid stock image.